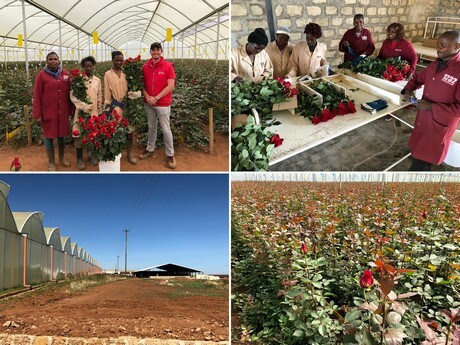 "A little higher, but it makes a real difference"
Simon van der Burg, grower and owner of Timaflor in Kenya, is enthusiastic about the launch of the new nursery Altima. "We are expanding more out of passion than necessity, but the opportunity is there, you know what to do, and you like it, so why not?" The farm of 10 hectares has recently been opened, and the first stems were auctioned on November 30, in Rijnsburg, the Netherlands. 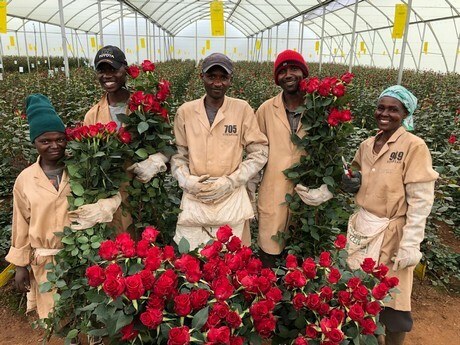 Rose nursery Timaflor was founded by Simon senior on the flanks of Mount Kenya in 2006. By now, the company has grown to 116 hectares, and provides work to about 1400 employees. 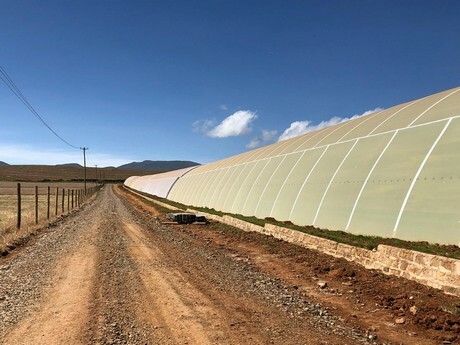 Because there are possibilities to further distinguish themselves with even bigger flowers, the new nursery has been built at a very high altitude. Timaflor is already at 2400 meters, and Altima - a contraction of altitude and Timaflor - at 2550 meters. "A little higher, but it makes a real difference. You lose a little on the numbers, but are able to supply a heavier quality consistently." Until recently, the stems were always sold in Aalsmeer, but the flowers of Altima will only be auctioned in Rijnsburg, Simon: "We grow for wholesale - not many types and in large quantities - and for that you have to be in Aalsmeer. There are also large buyers in Rijnsburg, and the buying power has been growing significantly in the past years, but at the same time there has always been more room for the smaller and more exclusive parties. In the past years, we exclusively spoiled Aalsmeer, and now we are going to spoil Rijnsburg." This choice has another motivation, according to Simon. "Most suppliers are present on many markets with their product. It has its merits, but we really believe in auctioning. There is almost no party which is consistently and reliably present in these volumes, but if you are, you get the best results on the auction. That is why we sell 100% on the auction." Just as in Aalsmeer, there is an exclusive cooperation with Fresco Flowers in Rijnsburg. "Gerjan and my father go way back. When Gerjan started investing, they found each other easily, and it turned out they complemented each other rather well. Also, a good handler in the Netherlands is essential to us." The word passion has already been mentioned, and Simon certain has enthusiasm. That becomes clear by the way he leads his company; according to him, he is never in the office, is working on all days from 6 to 6, can be found among the crops and employees all the time, and is involved in all related activities. But it also shows in the way he tackles social questions. "Now, everything is measured in labels and certificates, but when my father started, none of that was around. Still, you wanted to go to bed with a clear conscience. Things have to be taken care of, everyone deserves respect, whoever or wherever. And if you take good care of your personnel, they take care of you. Labels are not really necessary, but because you can explain this as well as possible and still people will not believe you, labels exist." For that matter, Simon is proud of the labels they have, particularly of the KFC (Kenya Flower Council) certification. "Maybe not really important in Europe, but in Kenya it really means something." Timaflor has grown enormously in recent years. 1400 employees are now at work, and with the Altima farm, 350 more are added. The objective is that Altima will expand by another 10 hectares in the near future. "Still, the dynamics are now completely different than 10 years ago. The bar is set higher, and upscaling is no longer a given. The competition and diversification which has been around in the Netherlands for quite some time, is also developing here. Moreover, everybody has good varieties, because of good nursing the neighbor also has more production, and in that regard, the profit is not only in meters. Pure physical expansion is not an objective in itself. Our primary goal, both now and in the future, is to properly manage the company."